At the country’s second-largest port, the year got off to a good start. Overall volume at the Port of Long Beach rose more than 17% to 2.5 million 20-foot equivalent units, or TEUs, during the first four months of 2018, with dockworkers handling 618,438 TEUs in April alone, a 10.8% increase over year-ago levels when the port moved 558,014. “Both imports and exports are beating expectations so far this year,” Port of Long Beach Executive Director Mario Cordero said. The nation’s No. 3 port, the Port Authority of New York and New Jersey, said its 2018 year-to-date TEU volume is up 11.6% with 1.2 million TEUs moved. Officials point to the June 2017 completion of the Bayonne Bridge Navigational Clearance Project, which increased the clearance under the crossing from 151 feet to 215 feet, providing improved access for larger ships. The Georgia Port Authority said the Port of Savannah had its strongest April ever, moving 356,700 TEUs, up 7.1% from April 2017. Through 10 months of its fiscal year, 3.4 million TEUs have been moved through the port, an 8.8% increase over last year’s level. “We’re on track to move more than 300,000 TEUs in every month of the fiscal year, which will be a first for the Authority,” Georgia Ports Authority Executive Director Griff Lynch said of Savannah. 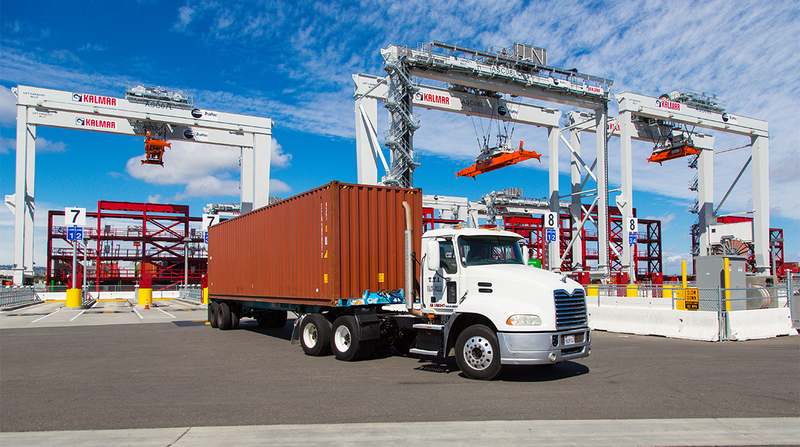 The Port of Oakland said from January to April total cargo total volume was up 2.9% compared to the same period in 2017. In 2018, the port handled 791,371 TEUs and in the first quarter of 2017 the number was 768,789. As it nears the end of its fiscal year on June 30, the nation’s sixth busiest port, the Port of Virginia, said its TEU volume is running 3.6% ahead of where it was at this time last year. The Port of Houston reported its first-quarter TEU volume was up 2% to 617,000 compared to the same period in 2017. The South Carolina Ports Authority reported the highest April container volume in its history, with growth of 4% to 196,439 TEUs. “Our strong April volumes were driven in part by significant growth of loaded export containers, which reflects the fact that shippers are utilizing Charleston’s deepwater harbor as a last port of call for heavy export cargo,” said South Carolina Ports Authority CEO Jim Newsome. Only two ports showed a decline in TEU volume. The nation’s largest, the Port of Los Angeles, reported a first-quarter drop of 4.6% compared to 2017. From Jan. 1 through the end of April 2018, TEU volume was 2,817,189 and for the same period in 2017 it was 2,955,289. Port officials said record volumes in both 2016 and 2017 create a difficult environment for comparisons against years when it reported large increases. Also, they cautioned that some carriers may have moved some business to the nearby Port of Long Beach. They expect to have more data on that later in the year. The Northwest Seaport Alliance, which operates the ports of Seattle and Tacoma, said the two ports reported a 1.1% TEU drop in April 2018 compared to April 2017. The 2018 number was 279,715 and 282,772 the year prior. The alliance attributed the decrease to bad weather and vessel delays, which impacted arrival schedules and overall volume. Going forward, economist Bingham expects volume at the ports to remain strong the rest of 2018, especially as it appears the U.S. and China may be closer to resolving their trade dispute.